Chess World Cup 2017: Nigerian Femi Balogun Challenges World Champion Norwegian Magnus Carlsen in Georgia. | Welcome to Dare Lasisi's blog! Chess World Cup 2017: Nigerian Femi Balogun Challenges World Champion Norwegian Magnus Carlsen in Georgia. TODAY'S CHESS PIC OF THE DAY; 'NIGERIA'S FRESHEST, VIBRANT AND NEWEST IM'!? In the picture is Nigeria's chess player, International Master Balogun Oluwafemi mostly known as 'Pegystuffings' among his Nigerian supporters. The chess star has instantly become a 'hit' among the African chess community and beyond for being the first African ever to be given an opportunity to play a reigning world champion in a world tourney. Perhaps a rewind on how Femi earned himself the right to play a reigning champion is imperative even at this early juncture. Born on the 21st of September, 1987, Balogun hails from the large commercial Nigerian Lagos state. Chess seems to have his family's blessings as it was his own father who taught him how to play the game. He is sometimes mistaken to be a football player among the Nigerian football lovers due to the fact that he has the same name as the former under 17 Super Eagles national team player, Femi Balogun who started his professional football career at Kaduna United football club of Nigeria. Steadily rising through the ranks by winning a couple of national championship trophies, it was only in 2014 that FIDE would officially recognize and appreciate IM Balogun's chess prowess by awarding the energetic Nigerian player with a CM title. Motivated by this milestone of his career, it would only take Pegystuffings two years to elevate his status to the FM one at the 2016 Zone 4.4 chess championship also known as the West African chess championships!!! An avid fanatic of fianchattoed systems especially the KIA and KID, Femi has representated Nigeria at two Olympiads, Istanbul 2012 and Tromsco 2014. The Nigeria number 3 player is also one of the fastest chess players in West Africa. The 2015 Chess Heights Tournament champion stunned his fellow local and continental chess pundits with his superb outing at the 2015 Tradewise Gibraltar tourney where he finished ahead of over 20 GMs and demolished in grand style, the fourth black GM in the history of the game, South Africa's Kenny Solomon! Getting his inspiration from almost all Nigeria's top players who he admits he admires and respects, IM Balogun, also gets external inspirational and motivation from Africa's number one player GM Bassem Amin, Europe's aggressive wildcard, GM Teimour Radjabov and the late troubled American GM Bob Fischer amongst others. His dominance at this year's Zone 4.4 championship that were held in Liberia's capital, Monrovia where he finally carried the day secured him two most important milestones in his whole career so far. 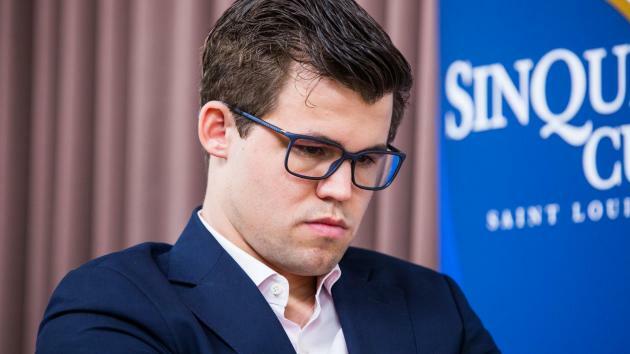 Firstly, he now joins a few continental elites who have IM titles, just a step away from the highest status that any chess player can attain, the coveted GM title! Secondly he becomes the first African to play a reigning world champion in such a high magnitude tourney as the world cup. IM Femi is set to crash with the Norwegian chess wizard on the third of September, 2017 at the world cup in Georgia. Despite the controversy and debates surrounding his chances against GM Magnus Carlsen, IM Femi is calm and has retaliated that he is training for this rare encounter and that to him, it will be great milestone and resounding motivation to play the world champion. Meanwhile the Africa chess news and updates where Femi is a member has been spicing up his training session with words of encouragement and sometimes making him crack his ribs from time to time to freshen up his mind. For instance, today GM Marian Petrov from Bulgaria joked that IM Femi should 'confuse' Magnus before their match with the 'haka dance'. Welcome to Dare Lasisi's blog! : Chess World Cup 2017: Nigerian Femi Balogun Challenges World Champion Norwegian Magnus Carlsen in Georgia.